A good long testing climb in Dengbidhire, Wales. Turning off the B5429, you head south east along a small lane. It is a little rough in places, but the road is quite quiet. The climb is 3 miles long, averaging 5%. 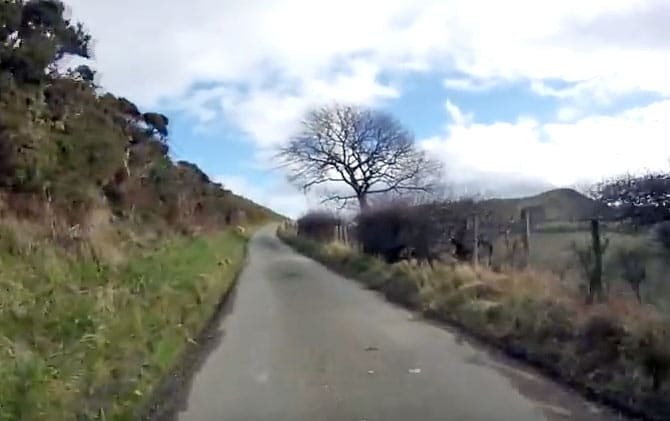 In the middle of the climb, there is a steep corner of around 12%, but this gradient doesn’t last long before returning to quite a steady climb up towards Moel Y Waun.